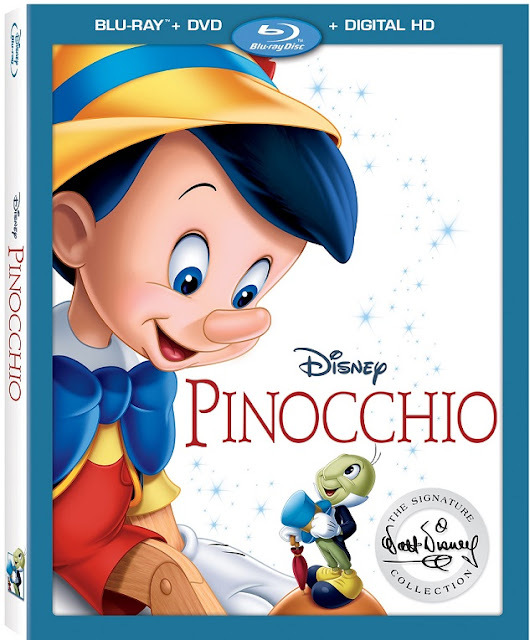 The Walt Disney Signature Collection of Pinocchio Will be Released on Blu-ray and DVD on January 31st! This weekend at D23’s Destination D: Amazing Adventures event at Walt Disney World Resort, Tyler Slater and Nicole Nalty announced the addition of Disney’s triumphant animated classic “Pinocchio” to the celebrated Walt Disney Signature Collection and gave members of D23: The Official Disney Fan Club the first look at the film’s all-new trailer. 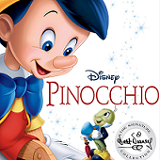 “Pinocchio,” which inspired the world to wish upon a star, arrives for the first time on Digital HD and Disney Movies Anywhere on Jan. 10, and on Blu-ray™ and DVD on Jan. 31 with hours of new and classic bonus features. BURBANK, Calif., Nov. 21, 2016 — “Pinocchio” is considered one of the greatest animated films ever made, with two Academy Awards® -- for best original score and best original song "When You Wish Upon a Star" – and a rare 100% rating on Rotten Tomatoes. Now, it will delight a whole new generation of dreamers with its masterful animation, unforgettable characters and award-winning music.